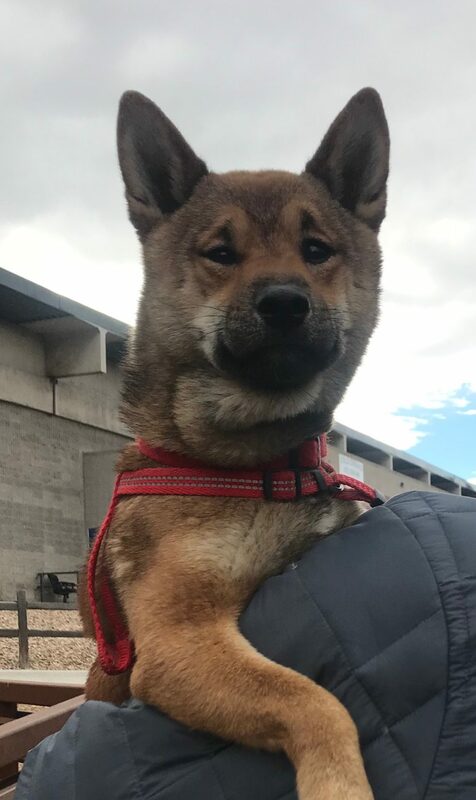 Kuma was found stray and taken to a high-kill shelter in El Paso, TX. Luckily, the amazing folks at Forever Home Animal Rescue, who pull dogs from kill shelters, contacted COSIR. The shelter suspected he had a broken leg, but our vet confirmed it was just a severe soft tissue injury. 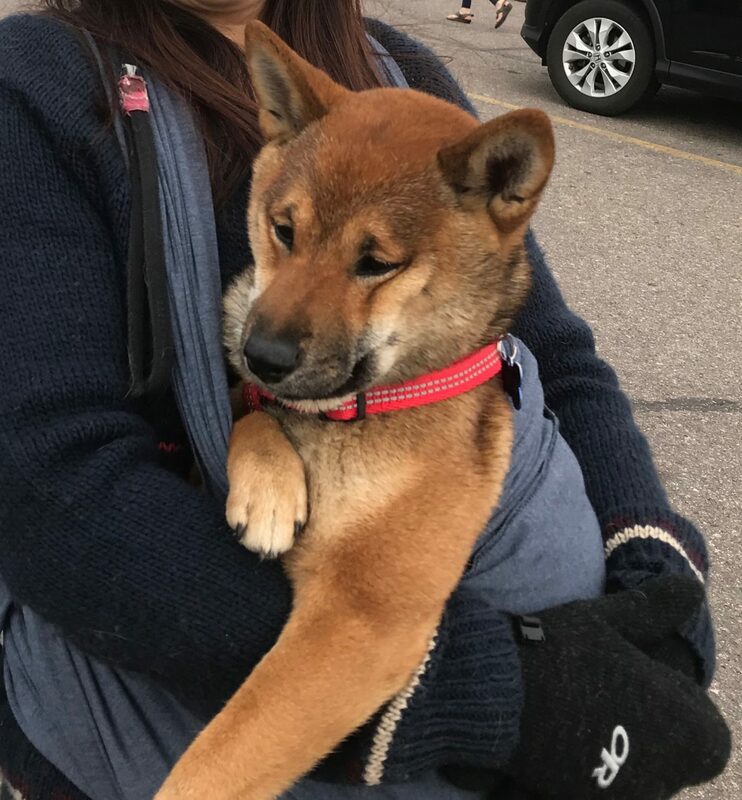 The shelter listed his age as 1 yr, but we estimate between 6-8 months old, and the X-rays confirm he is not fully grown. 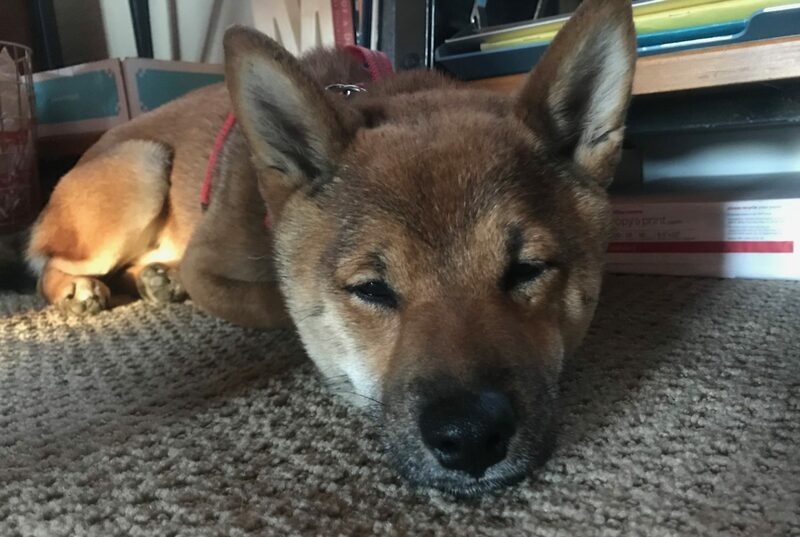 We named him Kuma (which means “bear” in Japanese) not only because he looks like a baby bear, but also in memory of a beloved Kuma from years ago. 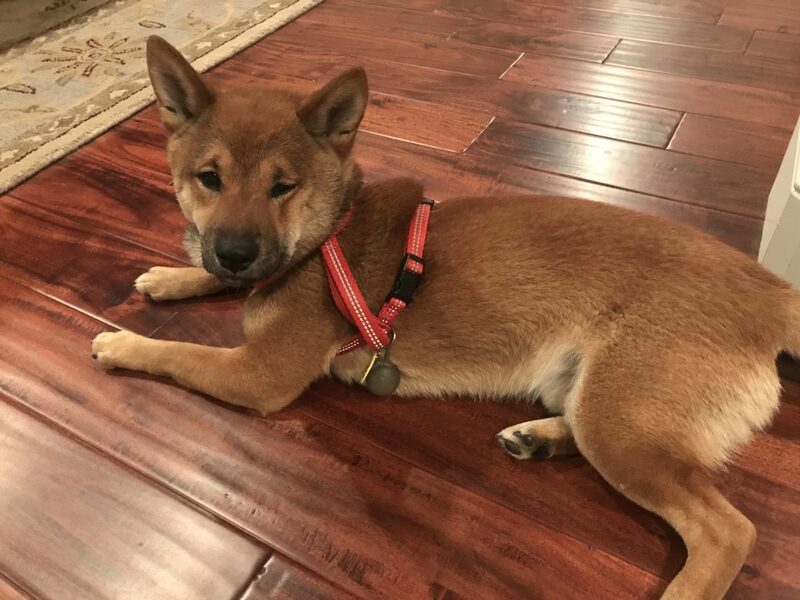 Kuma is your typical Shiba puppy; super playful and high energy, very mouthy, and a chewer! He has so much personality, and can be very vocal when under stimulated or wanting attention! 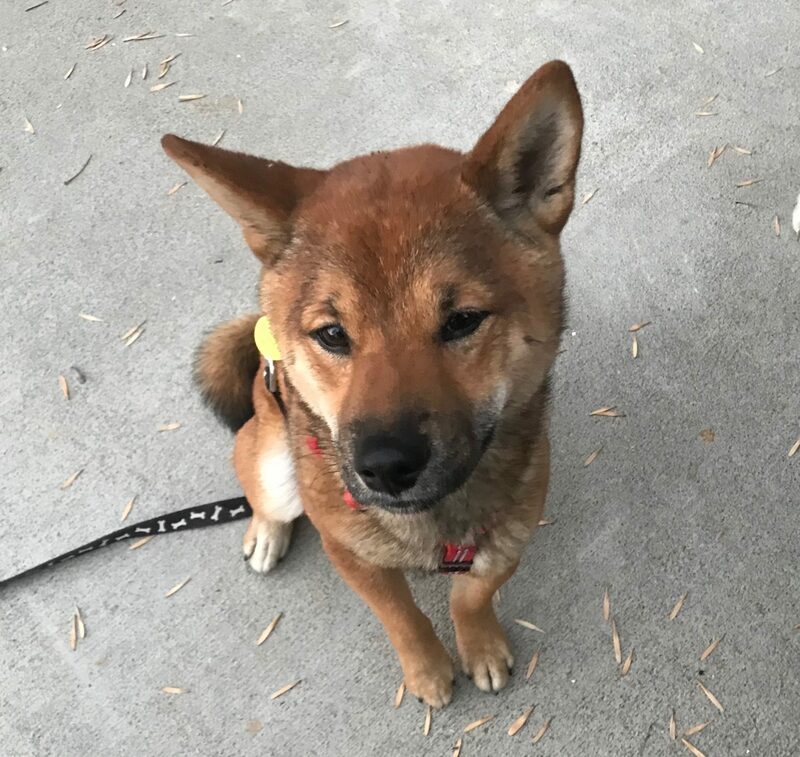 We’ve taught him to walk on leash and a few basic commands, but will need continued training and socialization. 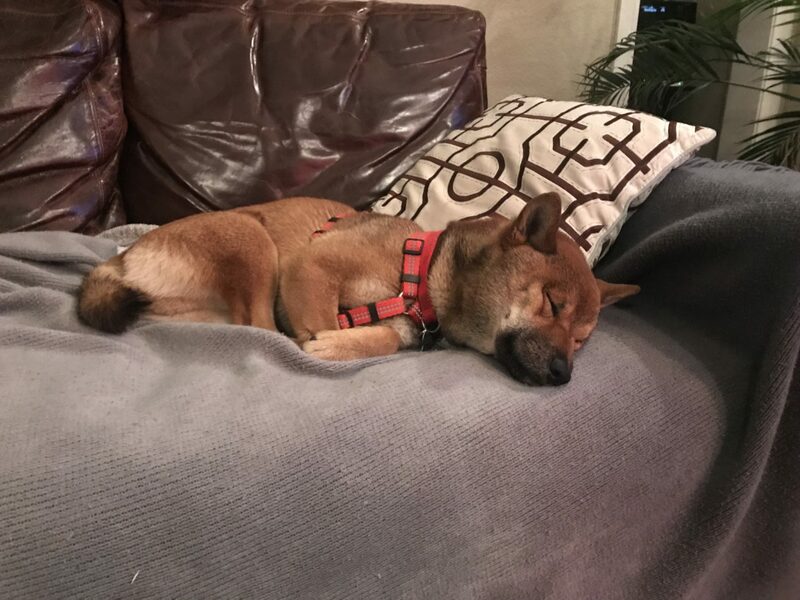 He is good with other dogs, but has not been tested with cats. He is cautious around strangers and will bark at them at first. He is not a fan of children of any age or size. 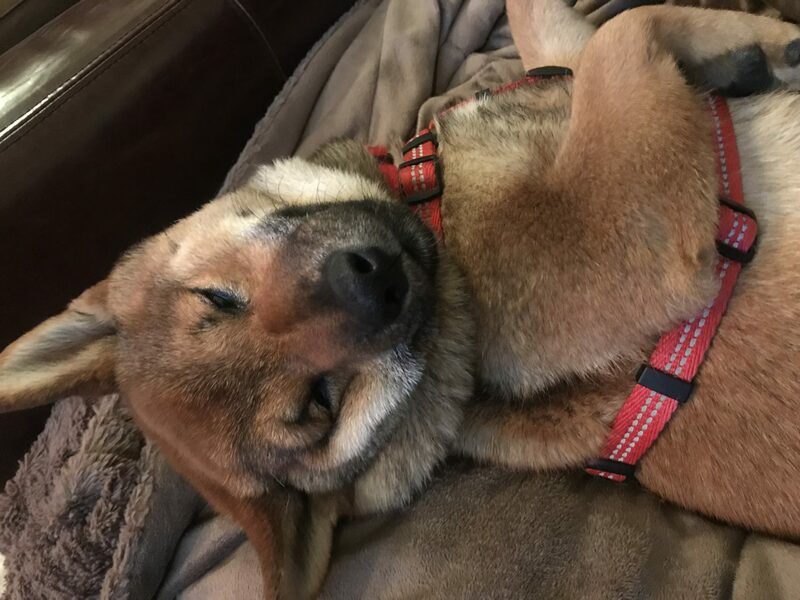 Kuma has some severe anxiety in a crate and is difficult to confine. He is a master escape artist and can/will jump any fence under 5ft. 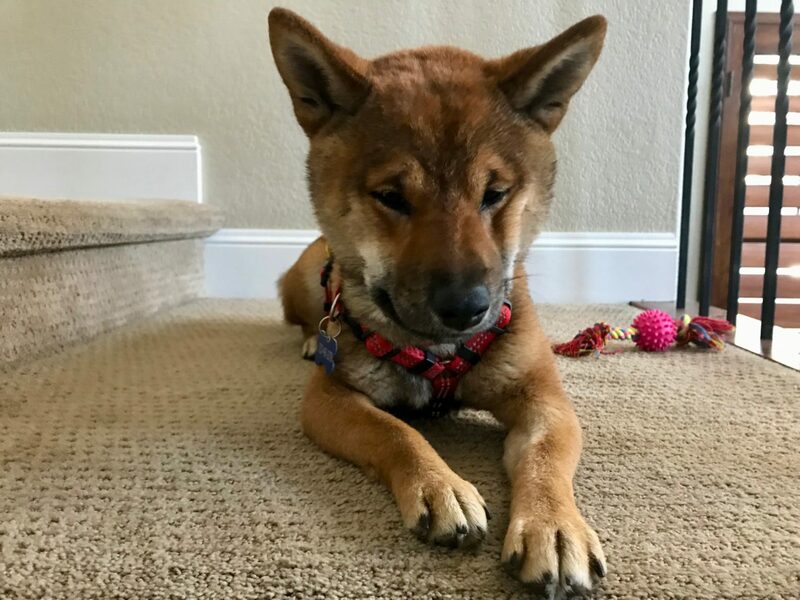 Kuma was placed in a loving foster home. He has put on some much needed weight and his leg is healed. He is working on his confidence, basic manners, and separation anxiety, but will be ready for adoption soon. The foster plans to adopt him, so we are not taking applications for him at this time.